Not every morning gets to start on the water, but we still had some nice sunrises in Houston last week. One thing you can’t do from a boat is long exposure photography — at least not if you don’t want everything blurred. 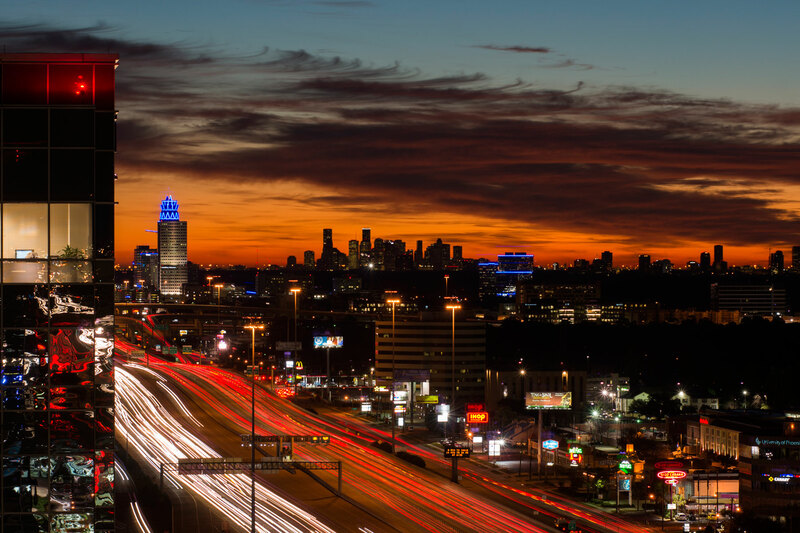 I was in the office extra early for a conference call, so I was able to snap this 8 second exposure of the morning commuters on I-10 heading to work just as the sun was coming up behind the Houston skyline with the 90mm Elmarit from the window at the end of my hall. 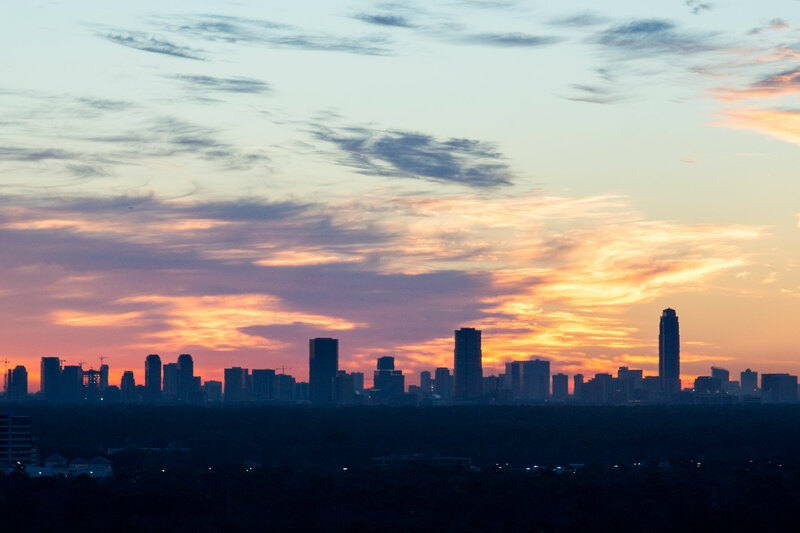 After the call I couldn’t resist taking one more photo of the downtown Houston skyline with the 135mm Elmarit. By the way, today is Mary’s birthday, so HAPPY BIRTHDAY, HONEY! Lovely sunrise shots. But oh how I DON’T miss the early morning traffic on I-10.